Helga Deep in Trouble » Blog Archive » Developer diary: Cut the game! Developer diary: Cut the game! 1) Make screenshots of every scene of the game and scale them down. 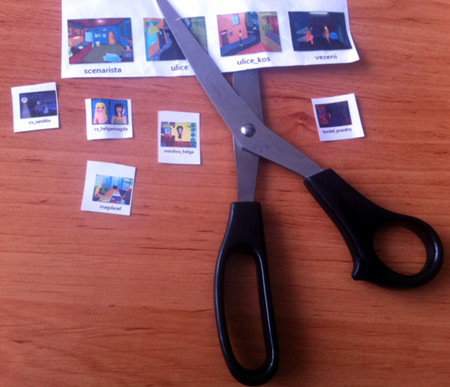 2) Combine them so that they could be printed, then cut them out. But – why did I do all this? Try to guess the right answer in a little poll. I will reveal the correct solution in the next post. What are we going to do with the printed images of game scenes?